mkdir -p mods jar --create --file=mods/greeting@1.0.jar --module-version=1.0 -C bin/jp.yucchi.greeting . 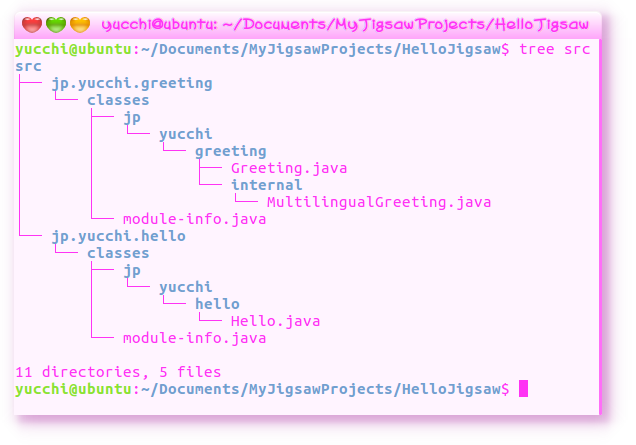 jar --create --file=mods/hello.jar --main-class=jp.yucchi.hello.Hello -C bin/jp.yucchi.hello . 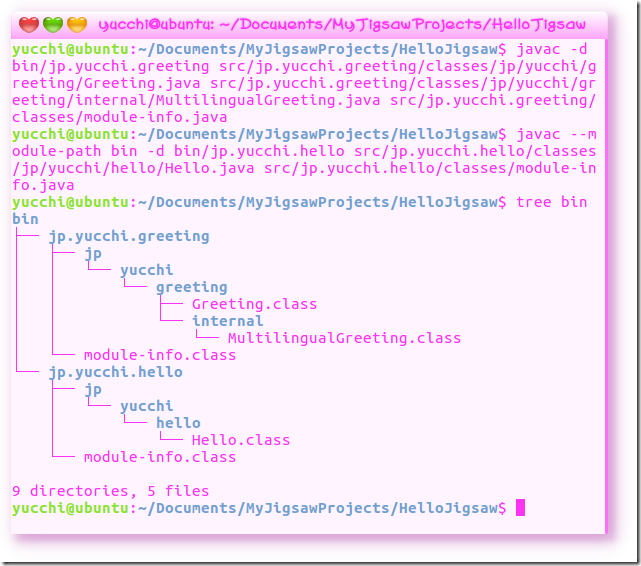 jar --create --file=mods/greeting@1.0.jar --module-version=1.0 -C bin/jp.yucchi.greeting . jar --create --file=mods/hello.jar --main-class=jp.yucchi.hello.Hello -C bin/jp.yucchi.hello . jar –create –file classes.jar –manifest mymanifest -C foo/ .